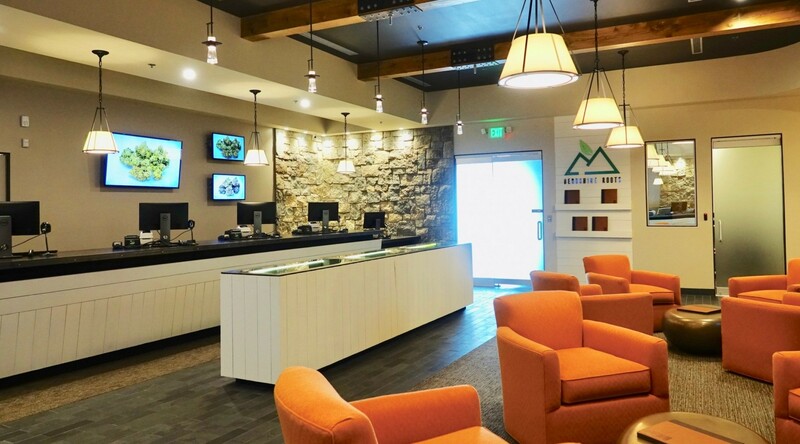 Overview: In designing the first medical marijuana dispensary in Pittsfield, Mass., we encountered a former bowling alley, Salvation Army store and auto parts shop. 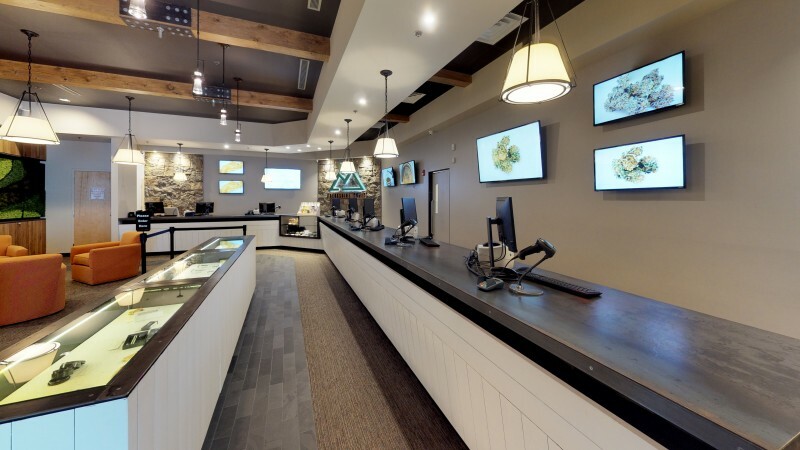 Challenge: As many new dispensaries in Massachusetts have created high-end interiors that mimic fancy tapas bars or boutique jewelers, we envisioned an interior experience that reflected the Berkshire region, without over-reaching drama. Solution: We drew on the natural elements of the Berkshires: from local stone and natural wood, to emphasizing authenticity in both the form and function of Berkshire Roots. The green hues and mixed textures of moss varieties inspired a three-dimensional wall, with soothing video interspersed. The calm interior is punctuated with a burst of energy from the sunset orange club chairs. 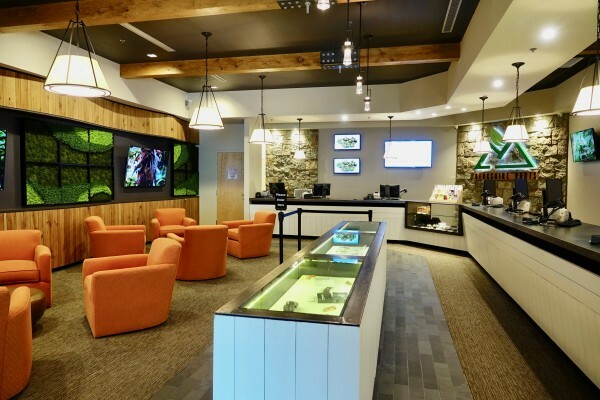 The inviting environment is a Berkshire success for medical marijuana, and the store is now on the cusp of licensing for recreational sales as well. Berkshire Roots is an example of inspiration from nature.